Eastern Province Cricket NPC (EP Cricket) has announced on Friday that KFC Eastern Cape is to become a significant partner in amateur cricket. The sponsorship will focus on amateur cricket development within primary schools and community clubs. The R500,000 sponsorship deal will enable EP Cricket to focus on developing the sport within primary schools, and community clubs across the province. One initiative will focus on clubs linked to a local KFC restaurant. Clubs will benefit from coaching clinics by professional coaches and Warriors players. The investment is designed to encourage participation, grow club memberships and to mentor and encourage future stars. As part of the investment in grassroots cricket, 100 schools will be invited to participate in the KFC T20 tournament, which will run across January and February 2016. Building on KFC mini cricket, the tournament is designed to reinvigorate cricket within the region’s primary schools. Full details to be released shortly. 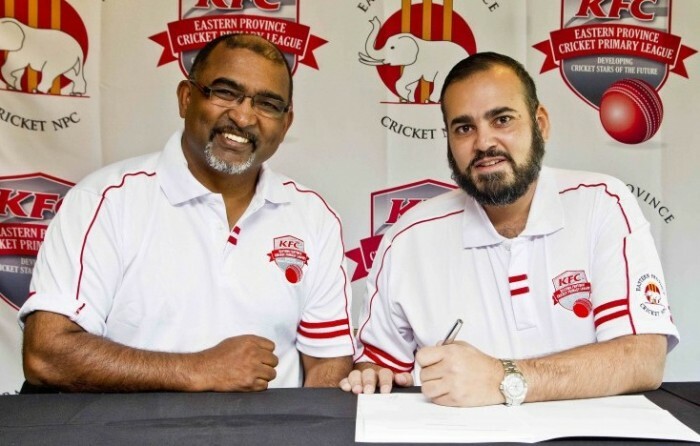 Commenting on the partnership, Fayyaz Moosa, CEO of KFC Eastern Cape said: “We are proud to announce KFC’s further commitment to Eastern Province cricket. Already active within mini cricket activities we take this involvement further and with EP Cricket, will be identifying young talent and ensuring they receive the right coaching as they emerge from mini to hard-ball cricket. EP Cricket CEO Jesse Chellan also commented, “We are delighted to deepen our relationship with KFC Eastern Cape.